Anyone who is a regular reader of my reviews will know that this book is way outside my usual reading material. But look at Savile’s resume so much great writing on so many great shows (and he wrote Slaine…. one of my all time fav 2000ad characters)… i mean… whats not to like. 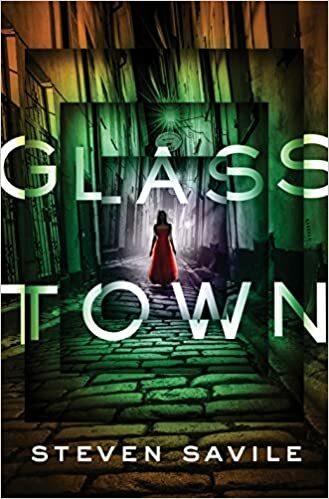 The story, Glass Town story is an observational mix of London life, old fashioned east end underworld and the supernatural/ mystic providing a backdrop for the dark tale of family secrets and obsession. the author has a intimate grip and feel for the location and also both the periods of this book. But the real win is the characterization and observational descriptive in the book, it’s just excellent. At first i worried that the author was going to be a little windy in his descriptions, but very quickly i fell into the rhythm of the writing and found that rather than being too much the descriptive writing pulled me further into the plot and wrapped me tighter into the characters and the emotions that drove them. The imagination behind the supernatural elements and the creatures that are conjured is just hugely impressive, but i should not be surprised for a man who wrote 2 Slaine books (serious… hero worship)… yeah he wrote a few other things as well… but Slaine!! sorry any way…..Glass Town, something fantastical, but yet written in such a way as to be highly believable and realistic. Took me somewhere very new, and left me hugely impressed and as a dabbler at writing made me reassess my own descriptive writing.